The sailing ship symbolizes abundance brought by the winds and waters. In the late nineteenth and early twentieth century, the sailing ship was a very popular symbol for many companies involved in the trading business, most famous of which was the East India Trading Company. Unknowingly then, many of the company’s managers would hang a beautiful picture of their sailing ships in their office, thereby causing them to enjoy excellent feng shui. Every student of colonial history knows how prosperous was the East India Company. Many Chinese banks and companies also used the sailing ship as their corporate logo. Today, you can create your own ship of abundance and prosperity. Look for the WOFS sailing ship, specially designed to be sturdy with strong sails to catch the wind. Avoid ships with cannons – what you want is a trading cargo ship, not a ship of war. 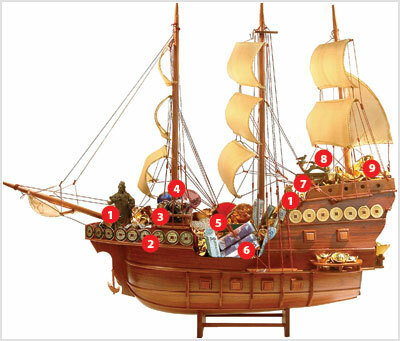 Fill the ship with symbols of wealth including ingots, gems and currency notes. 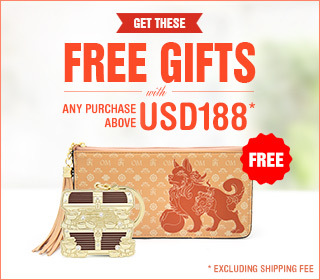 Place money from around the world and, include some loose change from a rich man’s pocket. The chi from the pockets of successful people is always very powerful. Place the ship near your entrance on a low coffee table sailing in. It is important that the ship’s direction is carefully positioned. In 2006, let the ship sail in from the year’s most auspicious direction, which is North. Each time you pass the ship think, “This ship of wealth is bringing success, abundance and prosperity into our home.” This way, your mind energy helps to actualize your thoughts. Place any one of the GODS OF WEALTH, Tsai Shen Yeh or Kuan Kung, to bring wealth luck into the household. Tsai Shen Yeh is often portrayed seated on a tiger with a gold ingot in his right hand and a golden scepter of authority in his left hand. Kuan Kung looks fierce and powerful, helping you overcome any competition. Place the God of Wealth at the front of the ship. THE NINE EMPEROR COINS represent continued wealth for nine generations. Their presence in your ship is essential in ensuring that your wealth stays in the family for a very long time. They come from the prosperous reigns of the nine emperors Shun-Chi, Kang-Hsi, Yung-Cheng, Chien-Lung, Chia Ching, Tao-Kwong, Shen-Fung, Tung-Chi, and Kwong-Sui. Beautiful GEM GLOBES, made of semi-precious stones are useful for energizing wealth luck coming from around the world. These lapis globe beads are an important ingredient for your wealth ship. WISH-FULFILLING JEWELS are wonderful for activating a positive flow of Chi to actualize your wishes. Place one wish-fulfilling jewel in your ship, for each wish you make. FAUX DIAMONDS symbolize immense wealth and prosperity. They are an excellent representation of immensely valuable cargo. When you fill your ships with them, they bring you a rich and luxurious life. PLACE REAL MONEY in as many currencies as you wish. Include money given to you by someone rich and wealthy. The WOFS GOLD BAR has been designed with the celestial dragon in flight, symbolizing the attainment of riches and success. 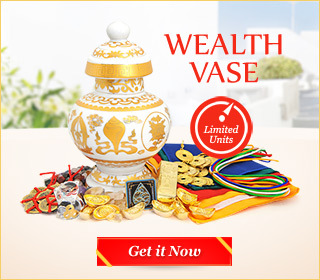 Place in your wealth ship to enhance your store of wealth. If you want success and power at work, let the ship bring you a scepter of authority. There are many different kinds of Ru Yi and depending on the symbols carved onto them, they signify different kinds of luck. Choose a small Ru Yi that appeals to you. GOLD INGOTS are extremely auspicious because they signify material assets, representing savings and worth. Place as many ingots as you can inside your wealth ship.